The summer sun has come out and that means that it’s time to peel off our winter boots and wiggle those toes in the air. With this seasons focus on anklets and foot jewels, the time has come to show off those leg extensions with a fresh clean look! When you’re going from booted foot to summer steps make sure you take into account these top things to get your feet summer ready. The first thing you need to do before you can start to get yourself ready for any sort of summer foot candy is LET IT BREATHE. For too long now your land paddles have been wrapped and hidden in the comfy embrace of your cotton socks and ankle high boots. Make sure you give your foot skin a chance to breathe, that means your delicate toe nails as well! In fact the experts recommend that you keep those nails, polish free for at least 2-3 days every month. Now that we’re all aired out, we are also all exposed. Argh what is that down there? It’s your feet… and we’re going to make them sparkle again. For those less time sensitive or the ones that find the beauty regime relaxing; you can soak your feet in warm water (for one step further add a drop of baby oil) for five minutes and then gently massage the calluses of your feet with the pumice stone. For those on the 37 second rule, anything that takes more than 37 seconds is not worth doing, keep the pumice stone in the shower and again gently massage your feet with the stone after your washing rituals. This option is also the best for people that want a fuss free no clean up after option, simply wash away your dry skin with your sins down the drain. Ahhh I feel lighter already! This season’s nails have become the canvas for a new era of wild and wonderful designs however a common theme that we can see coming through is metallic. Whether it is a metallic touch on the cuticle, metallic gold or silver strips or a base color with a metallic detail embellishment; we are sure that metallic colors are the failsafe plan for those pretty toes. We’ve aired, cleaned & made sure that our nails are in tip top shape. Now your feet are finally ready for the final summer touches. 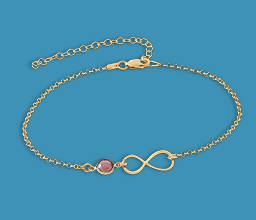 The anklet trend has just gotten personal and we have found the perfect collection of ankle décor, meaning you can personalize any ankle bracelet with your special touch! 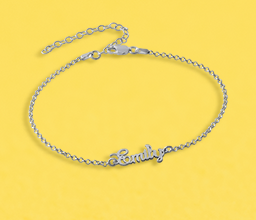 With our name necklaces once being confined to our upper half, now our ankles can join in the fun too. Enjoy all these tips to get your beautiful feet summer ready after all they work so hard, don’t they also deserve to be pampered?